Home » People & Places » Is industrial action on the table for teachers? 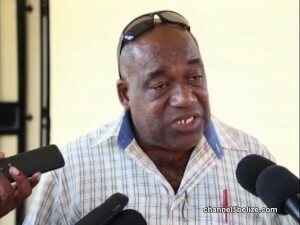 During his interview on Thursday evening following the nationwide meetings of the ten branches of the Belize National Teacher’s Union (BNTU), National President Luke Palacio brought up a phrase that brings chills to the hearts of government and education officials – “industrial action.” Usually, that means anything from sick-outs to a strike and shutdown of operations. Palacio was responding to the question of whether the Union needed permission to hold Thursday’s meetings; he also clarified what the Union’s position is as to carrying out such industrial action. WILL YOU DISCHARGE YOUR BELMOPAN TEACHER THAT PARADED WITH A GUATEMALAN FLAG ON THE 10TH?